Gaming hardware and peripheral manufacturer SteelSeries has announced new additions to its range of gaming mousepads this week with introduction of the new QcK Edge, QcK Prism Cloth, QcK Hard and updates to SteelSeries’ legacy mouspads. 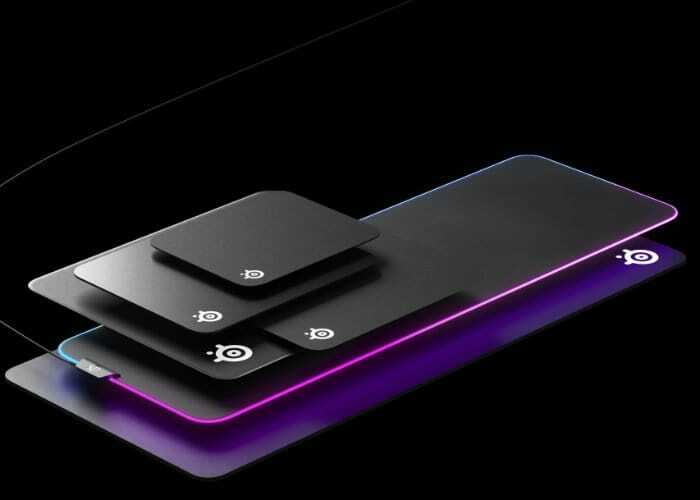 SteelSeries knows a thing or to about creating a gaming mousepad and has announced selling over 10 million mousepads worldwide, selling more mousepads than any other gaming company. The QcK Prism Cloth is available in both a Medium 320mm x 270mm x 4mm and XL 900mm x 300mm x 4mm sizes and is priced at $39.99 and $59.99 respectively. The QcK Edge comes in three sizes: Medium 320mm x 270mm x 2mm, Large 450mm x 400mm x 2mm and XL 900mm x 300mm x 2mm and is priced at $11.99, $14.99 and $23.99 respectively.